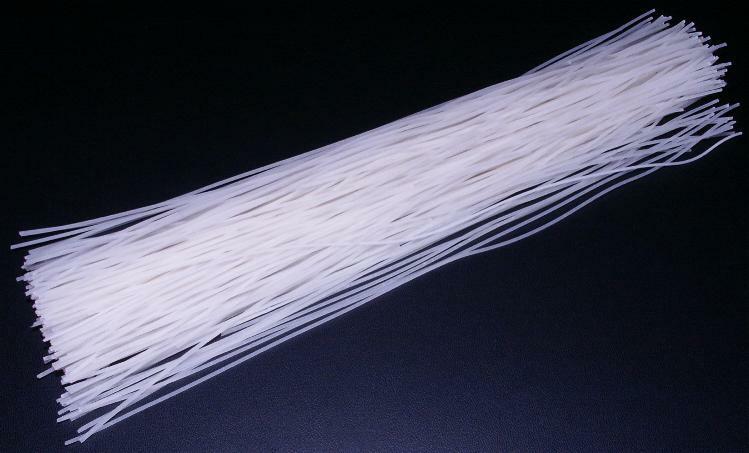 Rice vermicelli are thin noodles made from rice, sometimes also known as rice noodles or rice sticks. They should not be confused with cellophane noodles, which is another type of vermicelli. Left: Strands of bihon rice vermicelli. Rice vermicelli are a part of several Asian cuisines, where they are often eaten as part of a soup dish, stir fry, or salad. Rice vermicelli are particularly prominent in the cuisines of People's Republic of China, Taiwan and Southeast Asia. Rice vermicelli also feature in the cuisines of South India and Sri Lanka, where they are called sevai or idiappam.